A CRM System that Enhances Team Productivity! The success of your sales process depends on teamwork. Cross functional teams are responsible to manage a sales funnel and they should all work without any friction. Free flow of ideas and feedback ensure that your customers are taken through various sales pipeline stages without any hitch. Give your team a sales software that breaks all team collaboration barriers! A sales process is unique for each and every prospect. 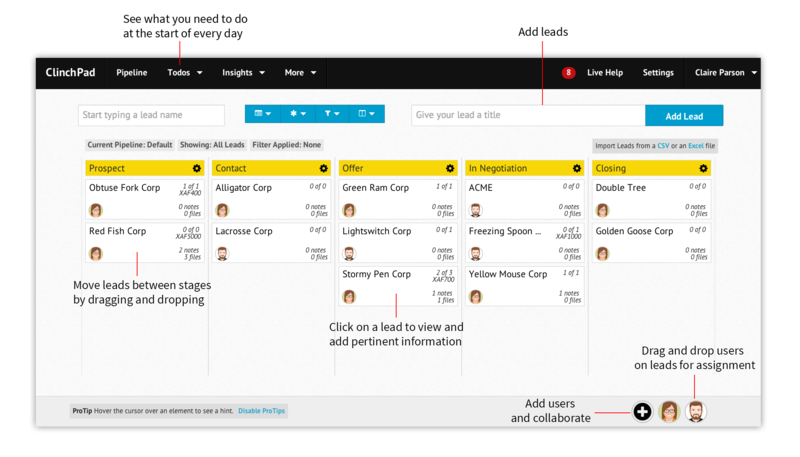 To make your life easier, our small business CRM allows creating a todo list to every single lead. Add meetings, calls, emails and tasks with their date and time to a lead. Keep track of the tasks that get done and keep a close watch on the progress of your sales cycle. 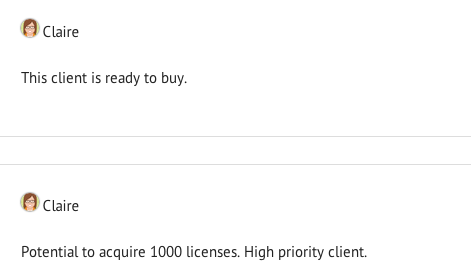 Got an idea or suggestion that would help your teammate close a deal? Add notes to each lead with information like minutes of a meeting or a tiny nugget of customer background you wish to share with your team. Enable easy sharing of important information throughout the organization for better sales pipeline management. Our CRM system does not restrict data collection in any way. 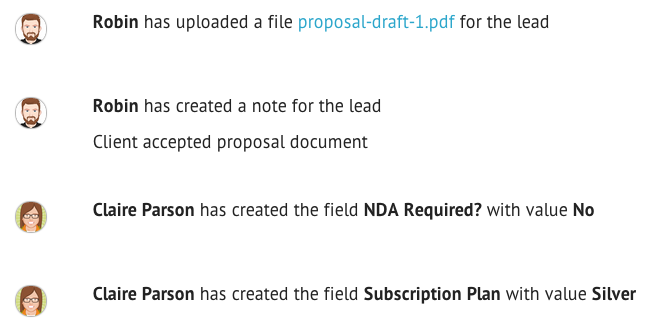 When you need additional fields to record more pieces of information, use our custom fields to get the job done. Attach additional attributes to a lead such as a product ID, type of lead or anything else that will benefit your sales process.